California is not often given credit as a great hunting state, but it should be because of its wide variety of huntable big game including Columbia Blacktail, Rocky Mountain and Desert and Hybrid Mule Deer, Pronghorn, Black Bear, Wild Pigs, Tule Elk, and more. 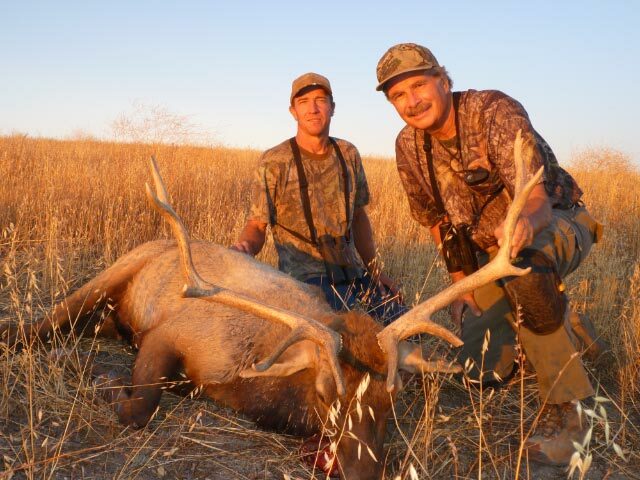 As mentioned in our September Newsletter (see Archived Newsletters at www.sportsmenonfilm.com), Ken Wilson was off to hunt Tule Elk in mid-September. On his first day, Ken reports seeing over 75 Elk in several herds in the tree-less, rolling hills southeast of Paso Robles. He shot a wide and heavy 5 x 5 as it walked toward him in the tall, yellow grass, virtually "forcing" him to take the shot. Through Jagdkontor Safaris, we can offer very low prices (about HALF the price of most operators!!) for all of Spain's excellent free-range mountain hunts for four types of Ibex, two types of Chamois, and Mallorcan Wild Goat, Mouflon, and Aoudad. In September, our client, Mark Hampton, flew to Madrid and then on to beautiful Mallorca with his wife. 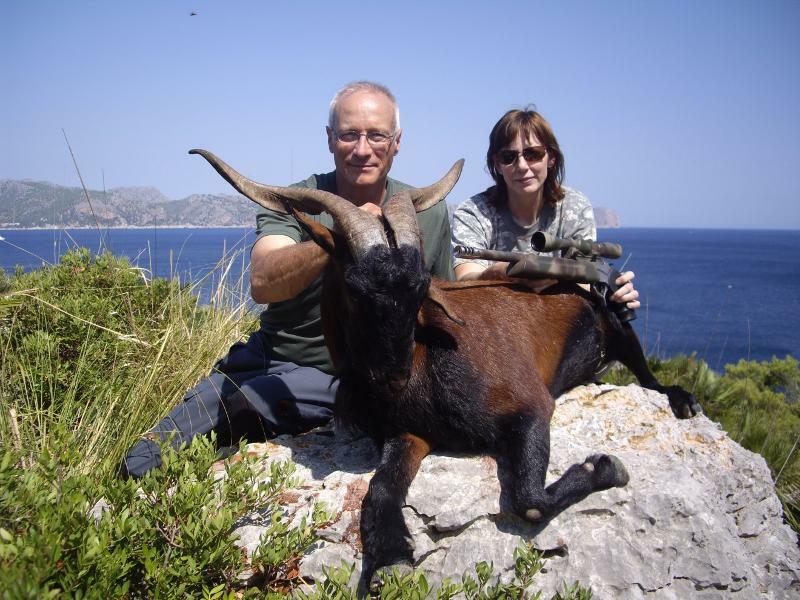 Mark shot a pure Mallorcan Wild Goat with his handgun and then spent a couple days sightseeing. Only one or two days are needed to hunt most animals in Spain, so you can put together the hunt for several animals and still have time for sightseeing. For price information, visit our website (www.sportsmenonfilm.com) and click on "CAPRA/OVIS/EUROPE Hunts" to go to the Jagdkontor Safaris site and then click on Spain.